This photo is from my recent trip to Prescott AZ. 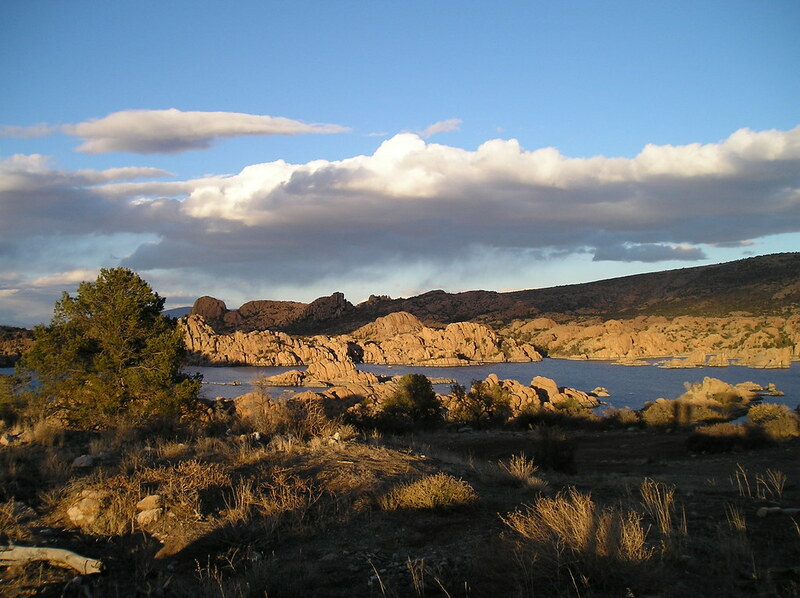 This shot is of Watson Lake at sunset. The sky was just clearing after a day of snow and hail showers, and it was quite chilly out. The Sapling and I enjoyed a presentation by the Prescott Astronomy Club on Saturn's Moons once it turned dark. Great stars! That's a lovely shot -- don't think I've ever seen a picture of the Dells & Watson lake in that sort of lighting! You need to spend more time in Prescott! Professional quality shot, great texture and lighting. May I use some of your photos on my website? Purchase Discount medication from Azythromycin to Propecia. How much drugs forzest online - louisiana nature colorado state government do drug testing educational medical photography..